Our apologies for the lateness on this episode, everyone. Days just got away from me a bit. Spiral Radio101 #46 is now available on iTunes, Stitcher Radio, or RIGHT HERE! Unfortunately, a scheduling conflict has cropped up and we won’t be able to record Spiral Radio101 #46 live tonight (Wednesday, October 21). I apologize for the late notice – it was something that just popped up yesterday evening. Christina and I will be recording a studio show on Thursday, October 22, and the show will be available on iTunes, Stitcher Radio, and right here at spiralradio101.com later that night. Contest winners will be notified and prizes sent out on Friday, October 23. Thanks for your continued support, and we hope you enjoy episode 46! It’s that time again! Stephen is participating in the Extra Life 24 hour gaming marathon for the Children’s Miracle Network on November 7. This year he’s supporting the Tucson Medical Center for Children to help out some very sick kids who need quality medical care, regardless of their family’s ability to pay for it. Please consider donating whatever you can – those small donations add up quick. We’ll be streaming a lot of Wizard101 play on our Twitch channel with the cast and crew of Spiral Radio101, as well as some Rocket League with friends and family. 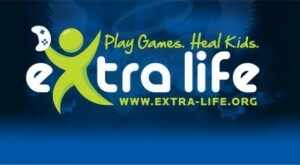 You can donate by clicking the Extra Life logo above or visiting http://extra-life.org/participant/spiritcaller. I can’t tell you how grateful I am to all of you who have donated in the past, and hope you’ll be able to support me this year. Even if you aren’t able to make a donation, consider passing the link along to your friends or family. Both Tucson Medical Center and myself really appreciate your help in getting the word out. I hope you’ll come keep us company on the Twitch feed come November 7. Thank you. A few weeks ago we asked for your gaming stories, and man, you DELIVERED! We’ve got quite a backlog of your stories, and we’re hoping for more, but our prize closet is starting to run dry. As of 11:59pm Central Time on Wednesday, October 14, we will no longer be rewarding everyone who sends in a gaming story. We might reinstate this in the future, and we might even roll it into a contest someday, but the reward program ends very soon! We’ll still be VERY grateful for your stories from Wizard101, Pirate101, or beyond the Spiral, and we’ll be sure to share all of them (providing they’re family friendly) on Spiral Radio101. Spiral Radio101 #45 – ‘Ski-Doo Confirmed!’ – CONTEST BELOW! Spiral Radio101 episode 45 is ready for your consumption! Download it now on iTunes, Stitcher Radio, or RIGHT HERE!